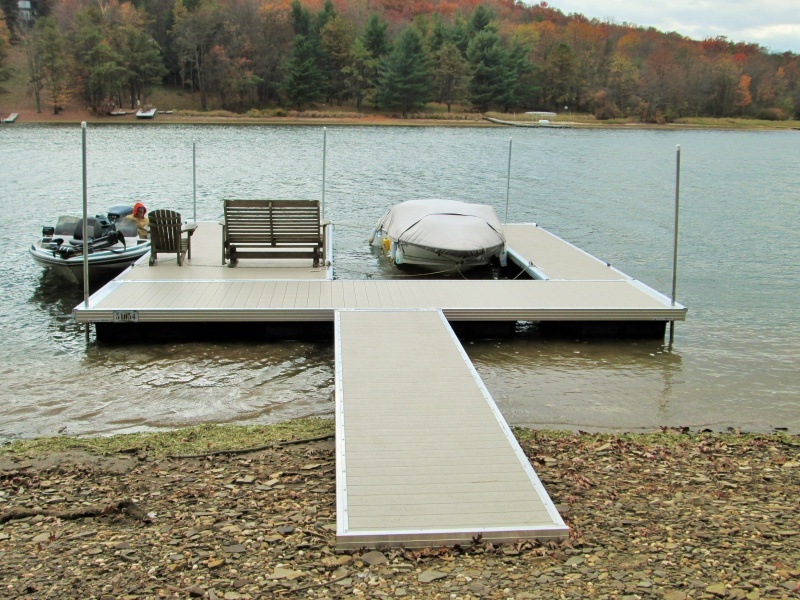 Residential docks are available in numerous configurations. Typical aluminum dock configurations are U-Shaped, Platform Type, T-Shaped and Double Slip designs. Each can be constructed with various options to fully meet your water-sports docking needs. Durable wheel systems can be added to your dock to simplify the removal and installation of your dock each spring and fall if needed.